We use slf4j to log information in the broker client and the broker itself so you can fully configure which logging levels are used and whether to log to files or the console etc. For more information see the log4j manual. How Do I Change the Logging at Runtime? INFO  WebConsoleStarter              - ActiveMQ WebConsole initialized. But stopping ActiveMQ to change the logging level is not always feasible. There are many cases where the logging level and other configuration details may need to be changed at runtime. 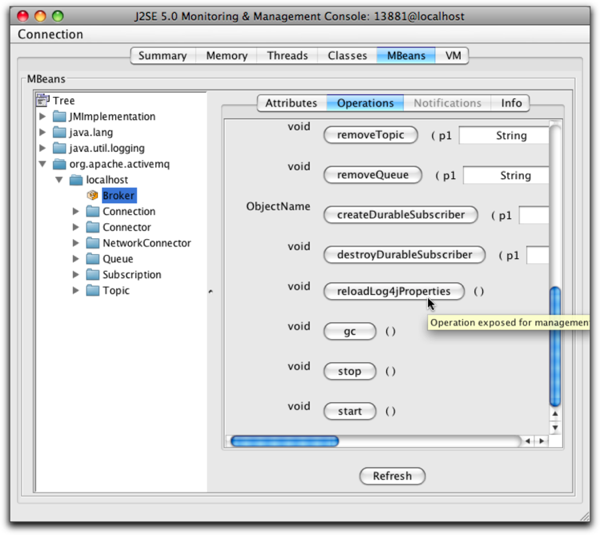 Using a JMX tool such as jconsole, the logging configuration file can be changed and reloaded without shutting down ActiveMQ. # comment out the above lines and uncomment the next. DEBUG InactivityMonitor              - 10000 ms elapsed since last write check. 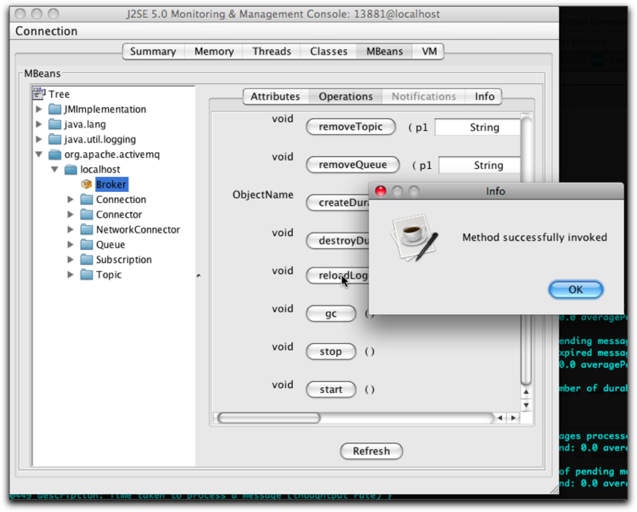 DEBUG InactivityMonitor              - 9999 ms elapsed since last write check. DEBUG InactivityMonitor              - 29999 ms elapsed since last read check. Disabling DEBUG level logging and enabling INFO level logging is done by editing the log4j.properties file and clicking the reloadLog4jProperties button again.